Parrot Cay Naples Reserve Homes: Parrot Cay is an exquisite lakefront custom home neighborhood overlooking a 125-acre recreational lake w a new Island Club and the private KonTiki Island. This over-sized custom estate home offers a coastal contemporary style with unobstructed wide waters views. One of the largest parcels available in the community boasting an incredible 175 feet of water frontage! Countless upgrades including hurricane impact resistant windows/doors, outdoor fire-pit, custom lighting, polished dolomite floors, tailor-made kitchen w quarts counter-tops, a 2-car garage & a separate single car bay. Community amenities include a private island, boating, fitness facility, resort style pool/spa, cafe, beach, etc. This is by far one of Naples best "bang for the buck". Parrot Cay Naples Reserve Homes: Entertainment with your family and friends will never be as inviting as it can be with this home. Southern exposure and overlooking the 125 acre recreational lake. KTS Homes has provided this spacious and inviting layout to entertain and relax in. Created as a modern-coastal floor plan, this home offers an offset kitchen and dining area while allowing connection through a series of folding and sliding glass doors between the lanai and great room areas. Split plan design locates the master living wing to remain private, yet involved in the glamours views of the afternoon sunsets across the main lake. Evening drinks on the elevated wood deck inclusive with an elongated fire pit, is surrounded by the spa and pool with lounging wet shelf area, making the sunset hours private from neighbors by way of the covered outdoor kitchen and dining area. A 3-car garage offers plenty of storage space and 2 full guest suites with onsite bathrooms complete the guest side of the home. Full views to the lake are provided to the study with all glass doors to keep with the coastal feel of the home design. Parrot Cay Naples Reserve Homes: This California-inspired Coastal Contemporary home exclusively stands apart from the rest. Architecturally designed inside and out with unique structural elements create completely unobstructed traffic areas, joining the interior with exterior spaces while integrating it into one collected space. The Great room horizontal ceiling detail, hidden LED lighting and corresponding linear wood floors inserts lead the way to the stunning outside oasis. Impact rated 10 foot glass folding doors and zero corner sliders disappear throughout the design and or complemented by large operable windows in every room. Furnish throughout, this home showcases 2 oversized guest rooms, guest bath and half-bath and pool bath. Private areas are separated by the Great room, Kitchen, and Dining spaces. The master wing includes conveniently located laundry connected to master closet, freestanding resin bathtub, beautifully tiled shower and double custom vanity adding to the serenity of the master bathroom. Parrot Cay Naples Reserve Homes: Come be inspired by this custom built home in Parrot Cay at Naples Reserve. KTS Homes, the architect/builder exceeds industry standards, translating into a home that combines thoughtful design, high-end upgrades, sensible function, and advanced modern home features sure to please the most discerning buyer. For the new Balboa II floor plan careful consideration was taken to create a home that allows you to move seamlessly from the interior to the exterior enjoying the outdoor living south Florida offers. Once inside you will see the elegant open concept living/dining/kitchen space which seamlessly connects you to the outdoor oasis complete with pool/spa and large covered lanai. Three bedrooms, each with a private bath, and a dedicated study help make this home a perfect fit for family and guests. Additional features include: powder room, large laundry room, and two car garage. Parrot Cay Naples Reserve Homes: Imagine your own personal paradise, expansive enough to accommodate guests but also pleasantly intimate. As soon as you pull up to this home the paver drive way and the differentiating exterior detail give this home that touch of character and luxury you’ve been looking for. Making your way through the front double doors, the first impressions of the interior will leave you feeling as if you just walked into a designer magazine home. With site lines from front through the back to the luxurious pool area, the visions of paradise become a reality. Touring further into the home you will notice the large, open concept kitchen area with a double island perfect for hosting those glamorous dinner parties. Having the transitional space from inside to outside through the wall of double doors offers that Florida lifestyle sought after by many. The outdoor living space offers a custom outdoor kitchen, fire pit, pool and spa accented with soft, underwater lighting. This home offers three bedrooms plus a den and three & one half bathrooms boasting 2,800 sq ft of living space and over 4,000 total sq ft. Calling this piece of paradise home is going to be the best decision you’ve made yet! Parrot Cay Naples Reserve Homes: This beautifully styled, Captiva build, by Marvin Homes was designed around the ability to live the transitional indoor and outdoor lifestyle. The floor to ceiling hurricane glass sliders that open to the outdoor space provide that Florida lifestyle experience. Top of the line screen shutters that separate the pool deck from the outdoor living space are equipped with wind censors to automatically retract once the wind speed reaches forty five mph. This home’s luxurious great room offers that simple elegance as it meshes into a proper dining space overlooked by the massive kitchen island. This four bedroom three bathroom den home is filled with intelligent practicality and includes what most homes lack: storage space. The kitchen with a wall to wall pantry, match with the quartz counter tops, custom hardware, soft close doors and drawers makes this a dream kitchen. The summer kitchen includes even more cabinets for storage along with an amazing outdoor gas fireplace. Enjoy your custom pool and spa that is also heated by gas. This custom built, never lived in, home comes furnished and with multiple upgrades to the plumbing system, electrical system and fixtures. A must have home! Parrot Cay Naples Reserve Homes: The Sea Grape model by McGarvey Custom Homes in the Parrot Cay neighborhood of Naples Preserve. This Great Room plan with volume ceilings, high end finishes, Thermador appliances, large covered Lanai, and additional features only found in fine custom homes. Parrot Cay Naples Reserve Homes: Looking for the perfect entertaining home? Look no further than this beautifully appointed custom-built, never been lived-in, Captiva model by Marvin Homes. Designed to optimize the Florida lifestyle of inside outside living with its open floor plan and large covered lanai. This home’s luxurious great room offers simple elegance which flows into a proper dining space overlooked by the massive kitchen island. You will have plenty of room for guests in this four bedroom three bathroom home with plenty of storage space. When entertaining your friends and family, enjoy the amazing outdoor gas fireplace, custom pool and spa. Only 15 minutes from the sugar white sand beaches of Naples or Marco Island as well as exquisite shopping and fine dining of downtown Naples. WELCOME HOME! Sparrow Cay Naples Reserve Homes: Enjoy this spectacular Majorca model by Ashton Woods. With extraordinary lake view and the opportunity to have a private canoe dock steps from your pool area, this is an outstanding floor plan. Using 4 BR or 3 + Den, an inviting gallery foyer, this wonderful design is open, bright with many unique qualities. The coastal design and contemporary styling lends itself to any decor. Ten feet, wall to wall sliding doors open to an expansive poolside lanai. Exceptional Master Bedroom suite with large and open custom shower and tile. French doors to the lanai from master. Wonderful summer kitchen with beautiful poolside design. White and gorgeous kitchen with custom cabinetry and stainless appliances, designer quartz island is an exceptional feature. The Amenities Complex has an outstanding 5000 sq ft resort style pool area with a lap pool, tiki bar, beach area, bocce ball and shuffleboard. Have lunch at the club. Play a game of tennis with your friends or try pickleball at the tennis center. Bordered by the Picayune Strand, Naples Reserve is the newest community in Southeast Naples. Enjoy life, enjoy mother nature and enjoy outstanding casual living in this exceptional gated environment. Sparrow Cay Naples Reserve Homes: As you enter this furnished, spectacular home w/3-car garage, you will see the resort and WOW factor as you look across the great room to the lake, oversized pool/lanai and summer kitchen. The custom pool cage, will withstand up to 180 MPH winds and comes with a 'Super' screen, 10-yr warranty. The 4 bedroom/4 bath home, with a den/media room, offers more than you would expect in standard features including Italian-made kitchen cabinets with soft-close features, custom quartz counters with travertine marble back splash and recessed lighting. The kitchen also features a walk-in pantry and an upgraded Whirlpool stainless appliance package. Bedrooms include upgraded carpeting and all other living areas have 17”x17” tile and 5¼" baseboards. Off- ridge roof vents allow for efficient attic ventilation featuring a dual Lennox HVAC system in this Ashton Woods, 2-story house. Naples Reserve offers a 4700 SQ FT Lakeshore Club which connects to a 3400 SQ FT fitness center; the Reserve also offers bocce ball, 5 tennis courts, beach volleyball, pickle ball and a resort style pool w/lap lanes. There are 22 interconnecting freshwater lakes and 125 acre Eagle Lake for kayaking. Two dog parks. Sparrow Cay Naples Reserve Homes: One of the finest floor plans in Naples Reserve, the Siesta by Stock Homes. Open & full of light, this home features a custom pool with heater, jets, bubblers and lighting, with remote control. No-See-Um screen 20/20. Lovely lake view with east southeast exposure, spacious pool area with lots of sun & 1494 SF large paver deck, entry & exceptional storage. Upgraded KitchenAid appliances & more. Shiplap decor & a custom closet system throughout the home. Smart home system, alarms & camera for comfort and safety. Gorgeous master bedroom & bath with free standing tub & dual custom sinks. Shiplap trim in guest baths, with decorator finishes throughout the home. Custom fans & lighting with designer window treatments including Plantation Shutters & power privacy shades. Not to miss the 3 car, air conditioned garage with custom cabinetry & add'l insulation. Naples Reserve is the star of SE Naples. Enjoy the amenities of tennis, pickle ball, boccie ball, lagoon pool, tiki & fire pit, fitness center & the exceptional natural environment provided by Mother Nature. A Friendly & fun-filled environment. Sparrow Cay Naples Reserve Homes: This gorgeous brand-new coastal inspired home by Ashton Woods is located on the lake in Sparrow Cay. Inside you’ll find a sunny, bright, open kitchen and living room with plenty of upgrades such as beautiful 42” white shaker style Wellborn kitchen cabinets, all stainless steel Whirlpool appliances including 36” cooktop, refrigerator, washer and dryer, walk in pantry, white tile backsplash, and enormous granite counter-top island perfect for gatherings. Main living space features 7x22 wood look tile and the bedrooms feature upgraded Shaw stain resistant carpet for comfort. Relax in your private pool or under your covered lanai. Other notable features include impact windows throughout, rain head and frameless doors in master shower, tray ceiling in master bedroom and 10 year limited structural warranty! In this exclusive gated community, residents can enjoy community clubhouse, pool, fitness center, lakeside beach, lap pool, social membership at Walkers Hideaway Marina and more. Our power house green package double pane windows with screens, digital programmable thermostat, 50-gallon water heater, 15 SEER HVAC system and more. Schedule your appointment today! Savannah Lakes Naples Reserve Homes: MODEL HOME available with leaseback opportunity. This new construction, Ashton Woods Model home has 3 bedrooms, 2 baths and a beautiful open kitchen overlooking a spacious living and dining room. The kitchen is uniquely designed with wrap around upgraded cabinetry featuring a sizeable island. The “Estes Floorplan” provides plenty of windows for natural light throughout the home. Enjoy the extended covered lanai, easily accessible from your living room via a wall of sliding glass doors, a fabulous place to relax and enjoy the beautiful Florida winters. There is a pool and screen enclosure so you’re able to enjoy a dip in the pool after a long day of fun! This home has a three car garage and extended driveway for plenty of guest parking. Naples Reserve boasts some of the most luxurious amenities in the area. Residents can enjoy a spectacular lakeside clubhouse with café and state of the art fitness center, boating, paddle-boarding, kayaking and other watersports on the 125 acre recreational lake. There are tennis courts, bocce ball, beach volleyball and miles of walking and biking trails. Have a pet, Naples Reserve is pet friendly with two dog parks. Sparrow Cay Naples Reserve Homes: Imagine yourself in this beautiful South facing home overlooking the lake from your private screened lanai featuring panoramic screening with uninhibited views. There is plenty of room to add a future pool. Furnishings are negotiable. The great room design invites you to the entertaining area with an open concept kitchen. Stainless Steel appliances include a refrigerator with French doors, custom recessed lighting, an island with breakfast bar, Quartz countertops with beautiful tile backsplash, custom cabinetry combined with a transom window, under cabinet lighting, makes this a light, bright space. The spacious great room with tiled floors and tray ceiling are open to the lanai and the awesome views of the lake. The dining room space has wood-like flooring and trim work on the walls. Imagine relaxing in this master bedroom with a spectacular view of the lake. The master suite has dual sinks, large soaking tub, walk-in glass shower, and private water closet. This home has two guest bedrooms and a bath as well as a custom den/study with wood-like floors and decorative trim work. A BIG PLUS is the 3 car garage for ample space. This community is a Dog lover's delight with a dog park. Sparrow Cay Naples Reserve Homes: Gorgeous brand-new coastal inspired homes by Ashton Woods located on the lake in Sparrow Cay. The options in this home have been meticulously selected by interior designers to ensure the latest in design throughout the home. Inside you’ll find a sunny bright, open kitchen and living room with plenty of upgrades such as beautiful 42” white shaker style Wellborn kitchen cabinets, all stainless steel Whirlpool appliances including 36” cooktop, refrigerator, washer and dryer, walk in pantry, white tile backsplash, and enormous quartz counter-top island perfect for gatherings. Main living space features 9x35 wood look tile and the bedrooms feature upgraded Shaw stain resistant carpet for comfort. Other notable features include impact windows throughout, tray ceiling in master, frameless doors in master shower, covered lanai and 10 year limited structural warranty! In this exclusive gated community, residents can enjoy community clubhouse, pool, fitness center, lakeside beach, social membership at Walkers Hideaway Marina and more. Our power house green package double pane windows with screens, digital programmable thermostat, 50-gallon water heater, 15 SEER HVAC system and more. Egret Landing Naples Reserve Homes: This newer home built in 2017 by DR Horton in the Egret Landing community of Naples Reserve is beautiful with lush tropical landscaping and partial lake views. Featuring four bedrooms, two baths, custom heated swimming pool, elevated waterfall features, screen enclosed and outdoor kitchen. Over 2000 SF, negotiable furnishings, large tile set on the diagonal, volume ceilings, and open concept living make this home perfect. The great room is open to the lanai and the kitchen with beautiful quartz countertop, oversized island, breakfast bar, recessed lighting, stainless steel appliances, and light cabinetry with crown molding. New impact windows and smart storm shutters installed. The master suite features large windows with plantation shutters, tile flooring and a master bath retreat with walk-in glass shower, dual sinks, and custom counters and mirrors. Three more bedrooms, inside laundry with sink and cabinets make this a great home for your guest with privacy from the split bedroom design. Naples Reserve is close to the historic downtown 5th Ave in Naples. Naples Reserve offers tennis, pickleball, kayaking, private beach area, dining, dog park and more. Savannah Lakes Naples Reserve Homes: Pool & Spa Included! Stunning Waterfront Location! This home will be ready to close around July 2019. Ask us about current Incentives/Promotions. The Kaden offers an open floorplan featuring 3 beds, 2 baths, a large entertaining sized lanai & a 2 car garage. The Kitchen & baths are adorned with Quality crafted custom-designed cabinetry & solid surface counters. Enjoy luxurious finishes & features throughout. Community amenities include: Guarded gate, 22 lakes (all navigable), 1-mile-long Boating/Rowing lane, Boat ramp, Island Club, Fitness center, 2 Bocce ball courts, Beach volleyball, Tiki bar & café with food & Beverage service, Resort style pool with lap lanes, Fire pit, Private Kontiki Island, use of Electric boats Stand-up paddle boards, Kayaks, Canoes & Bicycles, 5 Tennis courts, 4 Pickle ball courts, 2 Dog parks, Miles of walking/biking paths, Basketball court, a Children’s play area & more! As the premier builder in the community we offer the best value for your money. Low HOA fees. * Photographs, colors, features, and sizes are for illustration purposes only and will vary from the homes as built. Savannah Lakes Naples Reserve Homes: You have to see this brand new custom home completed in May 2018 in person! Southern exposure is the perfect setting for this JUMBO lanai and heated pool with large sundeck that was custom built after the closing. You will love the huge oversized parcel to the West that cannot be built on and lends to extra space and privacy for you to enjoy! All impact windows and doors have been thoughtfully installed so your buyer can relax while others put up hurricane shutters. The main room is 22' x 34' and is a truly open living concept. The kitchen has high-end cabinets with Cambria Quartz tops, 35" Kohler stainless steel single bowl sink and Kohler high rise faucet. All appliances are upgraded including an induction range. Upgraded floor tile runs throughout the entire home with no change from room to room. Your buyer will not have to buy or hang fans there are 6 already installed. Inside the large 3 car garage there is over 95 square feet of storage shelving installed and custom epoxy tri-color floor. Custom features list, Destin floorplan, and pool information will be sent to you right away at your request! Egret Landing Naples Reserve Homes: Pool & Spa Included! Stunning Waterfront Location. The masterfully designed (brand new construction) Bedford offers an open floorplan featuring a first floor master & den as well as two beds a loft & a full bath on the second floor. Large lanai & a 2 car garage. The Kitchen & baths are adorned with Quality crafted custom-designed cabinetry & solid surface counters. Enjoy luxurious finishes & features throughout. Community amenities include: Guarded gate, 22 lakes (all navigable), 1-mile-long Boating/Rowing lane, Boat ramp, Island Club, Fitness center, 2 Bocce ball courts, Beach volleyball, Tiki bar & café with food & Beverage service, Resort style pool with lap lanes, Fire pit, Private Kontiki Island, use of Electric boats Stand-up paddle boards, Kayaks, Canoes & Bicycles, 5 Tennis courts, 4 Pickle ball courts, 2 Dog parks, Miles of walking/biking paths, Basketball court, a Children’s play area & more! As the premier builder in the community we offer the best value for your money. Low HOA fees. We have decorated models open 7 days/week & homes that can close now or as far out as 7 months. Egret Landing Naples Reserve Homes: Same Model sells new for approx. $600,000 completely upgraded Genova Floorplan + loft with full bath. This 4 bed, 3 bath Home with 2 Car garage has it all WOW!!!. Neutral colors and wide porcelain wood plank tile, which lead the way throughout & give an elegant, yet low maintenance aspect to the home. Attention to detail in your gourmet Kitchen quartz counters, under cabinet lighting, 42" soft close cabinets with crown finish, whirlpool upgraded stainless steel appliances & beautiful hanging fixtures over the island, make it a great entertainment space in this open concept floor plan. Beautiful lake view & very private feel in your backyard. The elegant Master has a custom beam design on the ceiling giving it a unique finish in this spacious bedroom, as you enter the Master Ensuite through double doors, where you will find double vanity, walk in shower with Multi-color Mosaic Tile and a large walk in closet. Plantation shutters and custom finishes throughout the home & much more. The Naples Reserve Community offers a private Beach, Tiki bar, Restaurant, Fitness center with classes, Resort style pool & spa, volleyball, boats & kayaking, tennis & pickle ball courts, dog parks & more. 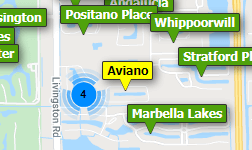 Savannah Lakes Naples Reserve Homes: STEAL THIS DEAL! OWNER WANTS SOLD...BRING ALL OFFERS! Purchase a BRAND NEW, NEVER LIVED IN, MOVE IN READY home for LESS THAN WHAT SELLER PAID (Jan 2019) in one of Naples HOTTEST new developments. Why wait months for a new build when this one is currently available? Naples Reserve offers the ultimate lifestyle. Spend your time boating on an 125 acre lake or bike/walk around 22 other lakes. The Island Club offers a waterfall resort style pool, tiki bar, fitness center, beach volleyball, bocce courts, and fire pit. Don't forget about our beloved pets who can enjoy the dog park. All of this is just a short drive to Marco Island and Downtown Naples. This exceptional home has been well-designed with $100,000 of upgrades AND build on a $35,000 premium lakefront lot. Kitchen is inviting with gorgeous wood cabinets, stainless steel appliances, center island, large walk-in pantry, eating area and open to the great room. Large master bedroom suite is quietly located in the back of the home with picturesque views of the lake provide beautiful sunrises and sun all day. 3-car garage offers plenty of storage. Large screened-in lanai with 1/2 bath to be used as a future pool bath. Egret Landing Naples Reserve Homes: LOWEST PRICED FULLY FURNISHED home in the ENTIRE COMMUNITY! Welcome to Naples Reserve - a picturesque, Florida lifestyle community! This immaculate Ashton Woods Capri model was built in 2016. At 2,294 square feet, this gorgeous home offers 3 spacious bedrooms, 3 full baths, 1 half bath, den, eat-in kitchen, and open great room. The well designed landscaping provides a real sense of privacy on both sides of this home. Notable features include hurricane impact windows and doors, custom kitchen cabinetry, beautiful quartz countertops with large waterfall-edge center island, and upgraded flooring. Outdoor features include metal roof, pavered driveway, extended pavered lanai with picture-window screen enclosure and soothing water feature, built-in gas fire pit, lush tropical landscaping and stunning lake view. Naples Reserve features a large resort-style pool, private lakefront beach and dining. You can enjoy communities activities such as tennis, pickleball, bocce ball, beach volleyball, kayaking/canoeing and many biking/walking trails. There's even a Bark Park for your furry companions to enjoy! Egret Landing Naples Reserve Homes: If a BREATHTAKING water view of the largest lake in Egret Landing is what you've been looking for, this beautiful lakefront home delivers! Enter this home's GRAND entry foyer, immediately see the expansive lake views and you'll know this D.R. Horton built home has the perfect location and size for future pool and outdoor entertaining! With 2,431 sq ft, it provides a large open concept living area and kitchen with stunning views. The kitchen is stainless with upgraded granite countertops and a large pantry. The large eat-in kitchen area AND formal dining room are designed for plenty of family and friends to gather. Rich, double crown molding has been installed throughout. The paint and tile flooring are a neutral color to work with any furnishings. The master bedroom has a lake view and the spacious bath has an upgraded granite countertop, separate tub, upgraded shower and a large walk in closet. The other 3 bedrooms share 2 granite baths, and a half bath is on the lanai as a future "pool" bath. Furnishings are negotiable. Naples Reserve has wonderful amenities, from restaurant, to community pool, tennis, beach & boat docks set among lush, tropical landscaping throughout! Egret Landing Naples Reserve Homes: H.13325 – NEW PRICE! Can't buy this view today; private oasis sporting a lushly landscaped private lanai where you can’t see your neighbors. The lanai overlooks a serene lake view and a custom pool with color LED lighting and a waterfall cascading over a water shelf that will enable you to cast all cares away. Your home continues the coastal feel with white Italian soft close cabinets, white quartz counters and subtle shades of contrasting grey walls! The kitchen also has large island and large corner pantry. Most of the 26 windows have either custom solar shades or plantation shutters The long drive way and wider than usual lot is a premium . This nearly 2300 sqft home is the perfect size with 3 bedrooms, den and 4 bathrooms – one of which is a ½ bath perfect so visitors aren’t using the guest baths. 8' Doors throughout. Why hassle with new construction and have to deal with decisions and adding all the finishing touches this home is complete. Naples Reserve boasts fitness center, tiki bar for enjoying cocktails and meeting neighbors, and 125 acre lake is great for boating/kayaking/paddle boarding to the center island. You can also enjoy tennis/pickleball/bocce, dog park and more! Need professional assistance selling your property at Naples Reserve Naples? Find out how an Area Specialist can help to generate more property exposure in order to get the most money for your investment in the least amount of time.